SINN FÉIN HAS defended itself after revelations that the party has received some $12 million in donations from the US over the last 20 years. Celebrities like Martin Sheen and Anjelica Huston are among those who have been revealed as having contributed to the party’s US fundraising arm – Friends of Sinn Féin. The Irish Times has a major report today on the party’s fundraising efforts in the United States over the last 20 years with philanthropist Chuck Feeney emerging as the party’s biggest donor, contributing some $780,000 down the years. The paper also reports that among the 15,000 donations between 1995 and 2014 are some famous names, including Sheen ($1k), Huston ($500), Lord of the Rings star Viggo Mortensen ($1k), Dennis Hopper ($300), and Irish actor Fionnula Flanagan ($3,000). The money, which is administered by FSOF chair James Cullen, does not make its way into the party’s accounts in the Republic due to strict rules around party funding in this State. However some of the money is used to pay expenses for things like office costs, cars, computers in Northern Ireland where it is in government. As you might expect, opposition parties are raising questions about this. Labour TD Derek Nolan said the party hasn’t been clear enough on where its “fundraising war chest is being spent”. “The party needs to give clear-cut assurances that their political and electoral activities in this jurisdiction are not being funded in any way by their accounts in the North – and by association, by US high-rollers. “For example, can they guarantee us that their staff operation in the Republic – which is larger than any other party in Leinster House – is not being somehow funded by contributions from abroad? For a party which purports to have the common touch, the Irish Times revelations have shone a light on how Sinn Fein is actually more comfortable rubbing shoulders with bankers, financial elites and developers at gold-plated fundraising events. But speaking to Newstalk’s Lunchtime programme earlier, Sinn Féin’s finance spokesperson Pearse Doherty insisted “none of this is secret, hidden donations given to individuals”. Everything that’s in the Irish Times, in terms of the people who have donated to Sinn Féin and the quantity of money they have donated to Friends of Sinn Féin over the last 20 years, is available through Google. He insisted that “none of that money,under Irish law, can come to the 26 counties and none of it does” and said the party abides by “very stringent rules” laid down by the US Department of Justice. Cork North-Central TD Jonathan O’Brien, who is also the party’s national treasurer, said that vast majority of the money actually stays in the US “to promote the peace process and the cause of Irish Unity”. The story in the Irish Times details 20 years of fundraising. The very transparency of our fundraising has made evaluation easy. But I would ask why couldn’t the same level of scrutiny be brought to bear on 20 years of fundraising Fine Gael and Fianna Fáil? “Let’s not forget those 192 individuals who owe the state 62 billion in banking debt. What portion of those individuals donated to Fine Gael or Fianna Fáil parties in the past two decades? It’s not just donations. Last year, we reported on the annual Friends of Sinn Féin dinner where attendees are expected to pay around €400 per plate in the hope of raising over €280,000. Email “Sinn Féin says the money it got from Martin Sheen and others 'is not a secret' ”. 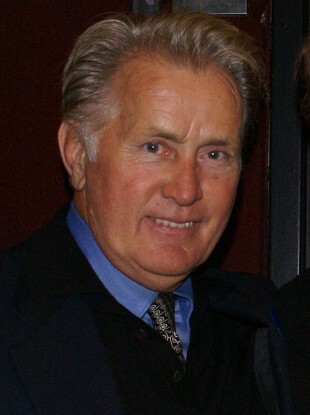 Feedback on “Sinn Féin says the money it got from Martin Sheen and others 'is not a secret' ”.